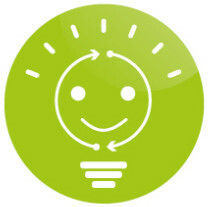 Entrepreneurs du Monde has been developing actions to fight energy poverty since 2010. Access to energy is a key factor to emancipation for the vulnerable populations because it conditions their well-being and their income-generating activity. 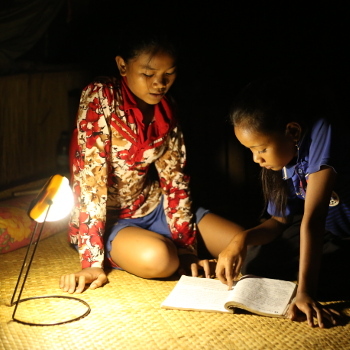 In developing countries in particular, access to energy represents a daily challenge for families: more than 80% of them rely on wood biomass to cook and fewer than 30% are connected to the electricity grid. In the household budget, the purchase of fuel is costly, especially since the cooking and lighting equipment used are basic, inefficient and so energy-intensive. 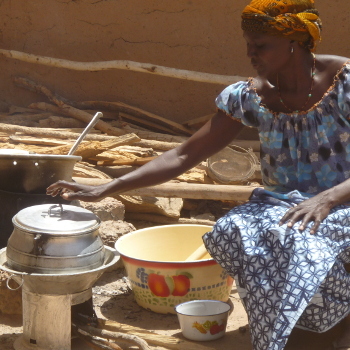 For instance, a Ouagadougou household, in Burkina Faso, is estimated to spend up to €10 a month for the purchase of cooking fuel, which represents up to 15% of its income. Access to energy is also a public health issue: the World Health Organization (WHO) estimates that domestic air pollution caused by the inefficient use of solid fuels is responsible for more than 4 million deaths a year, especially of women and children who are exposed for longer periods to toxic fumes. These poorly insulated equipments are also responsible for numerous burns and fires. Finally, the use of wood biomass by households or processing plants has damaging consequences for the environment. It is partly responsible for the galloping deforestation hitting developing countries : as an example, in ten years, Togo has lost half of its forest area. And excluding carbon dioxide and fine particles emissions associated with that the combustion of wood biomass, which are playing a major role in climate change. To answer this hat-trick of issues, the challenge is to facilitate the access to a cheap, clean and sustainable energy, coupled with a mechanism of control of the demand by improving energy efficiency. An improved wood or charcoal cook stove which can cut wood consumption by 40%, the equivalent 800kg saved in average per year for a five-people household. An LPG (gas) stove, reducing the exposure to indoor air pollution by more than 90%. A solar-equipment which is a clean, free and secure source of lighting for users. 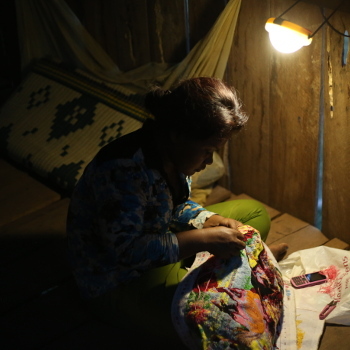 To facilitate access to a modern, clean and low-cost energy for the most deprived, Entrepreneurs du Monde’s energy programmes develop micro-franchised distribution networks as well as adapted financial services. To do so, they go into partnership with local communities by giving men and women the opportunity to develop an activity selling lamps and stoves, thus complementing their income. The success of Entrepreneurs du Monde’s programmes is due to the social enterprises that EdM creates making readily accessible in one neighbourhood outlet the acquisition of essential products and financial services . The economic model upon which the programmes are based allows the suppression of different market barriers, thereby speeding up the equipments’ distribution. The success is also based on products respecting the best international norms and chosen with beneficiary families to ensure the optimal consideration of their needs. Hi, I found an article that may interest you, here is the link: https://www.entrepreneursdumonde.org/en/work/access-energy/ .